No matter how tasty the food, it is neither smart nor healthy to let dental problems ruin the holiday celebration. Follow these three tips to keep your teeth healthy during the holidays. 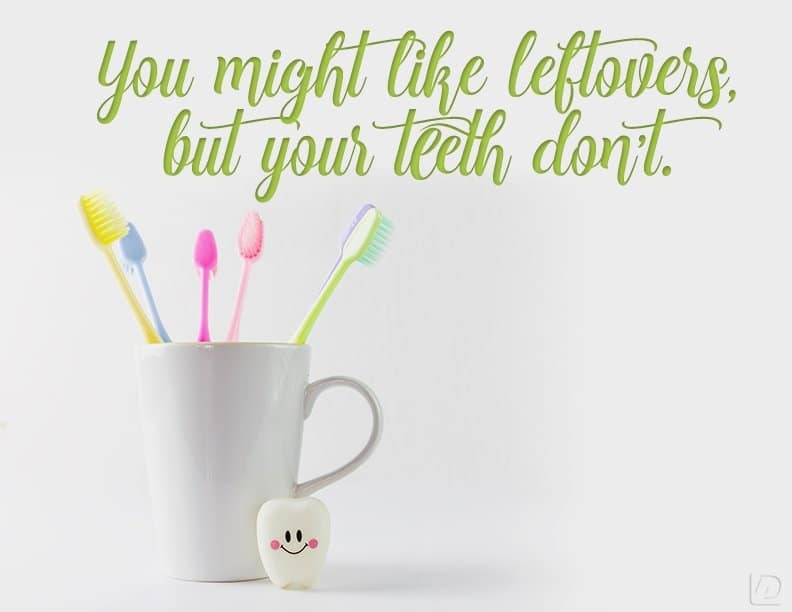 Tip 1: Leftover food particles contribute directly to the formation of plaque. Clean your teeth after every meal, big or small! Tip 2: Holiday weeks are the perfect time to visit the dentist. Kids are out of school, and many dental offices have available appointments. And, as Black Friday approaches, look for deals on dental work and orthodontics. Tip 3: Drinking water intermittently helps keep sugar and food particles from resting in the grooves of your teeth. It’s important to maintain good habits by brushing the teeth thoroughly and flossing before going to bed.